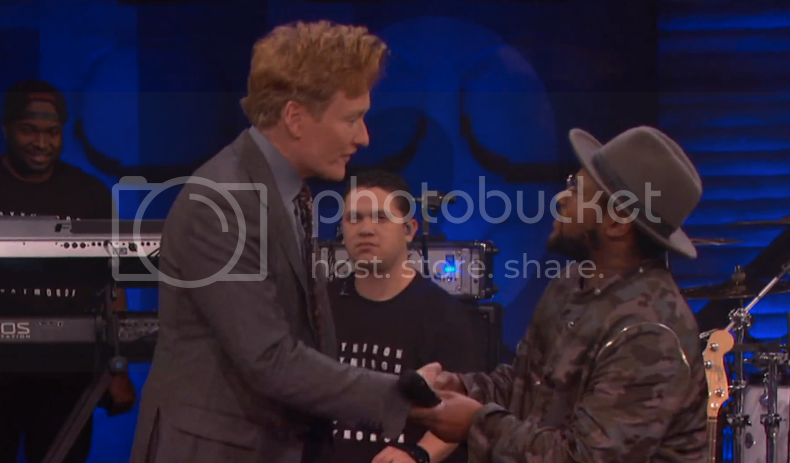 Watch Schoolboy Q perform 'Studio' on Conan and try to figure out if he's short or if Conan is just a giant. Watch Schoolboy Q perform 'Studio' on Conan and try to figure out if he's short or if Conan is just a giant. It's a great game.